You are at Home Eatery Critique 70 below Treats: The Only Thing I like about Freezing Temperatures! 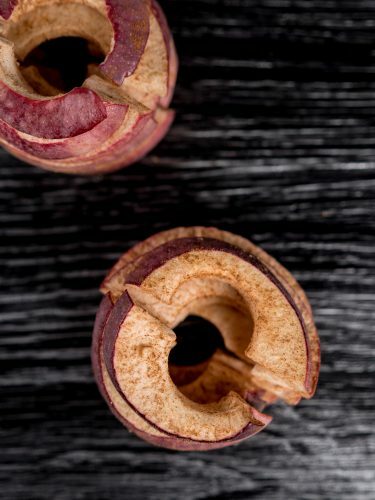 You often hear about dehydrated foods but freeze drying food seems like foods that only astronauts eat while in space! But move over Chris Hadfield, we discovered 70 Below Treats and now can’t get enough of freeze dried foods! Owner and Chef Courtney started 70 Below Treats in 2018 because she loves scratch cooking and farm to table foods which led her into preservation. Which then led her to freeze drying. 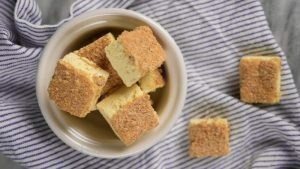 Once the freeze drying bug hit, she began experimenting with different foods but wasn’t comfortable with the sugar contents and list of ingredients (chemicals) that she could barely pronounce. She then began creating and formulating her own recipes which would be preservative and additive free, as well as minimal ingredients. 70 Below Treats is all about healthy and clean snacking which is why their seasonal fruit chips are by far the most popular menu item. They also serve a delicious signature cheesecake and ice cream sandwich bites for when you need a treat that is a little more indulgent! But fear not, even these treats are made with as little sugar as possible! So what is chef Courtney’s favourite item from her line of freeze dried goodies? Her signature cheesecake! This is her favourite product because it is her most unique product. With a low sugar content, a crispy yet airy texture, it’s always one products that “wows” her customers. She spent weeks perfecting the recipe to get the perfect texture and flavour profiles. It’s a great way to enjoy a very popular dessert item in a unique way and you can carry it your purse! I love this company not because they have a super tasty product, but also because their main goal is to promote healthier snacking. They also thrive to use local ingredients which promotes eating local and supporting local farmers. Most freeze dried foods on the market are made to be re-hydrated, or made in large scale facilities which use additives or preservatives. 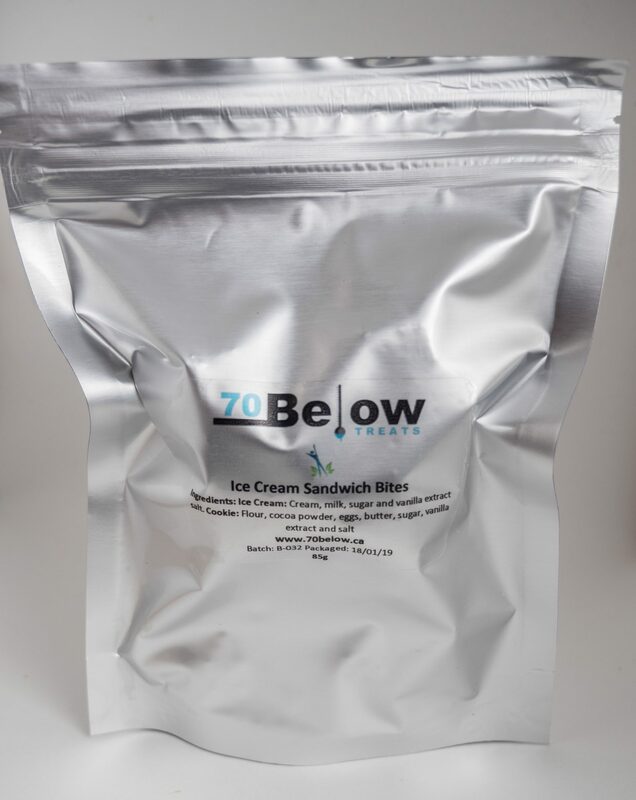 70 Below Treats are meant to be enjoyed in their freeze dried state to help make eating healthy more enjoyable and unique. 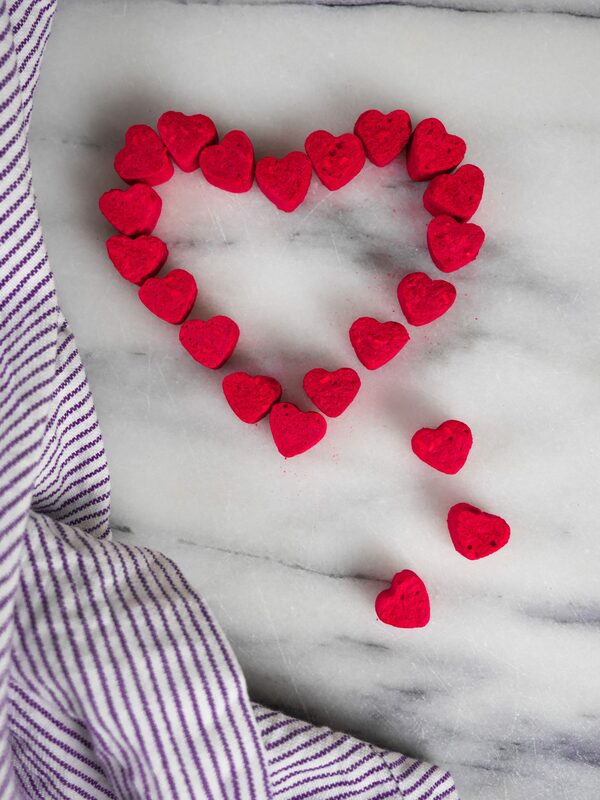 During the month of February, they have a Valentine’s Day special : Fruit Bites (Ontario grown fruits pressed into silicone moulds). 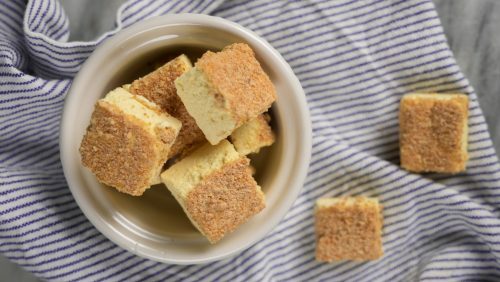 Everything has a sponge toffee texture so these are a fun unique way to enjoy a single ingredient like candy that’s simply all fruit! 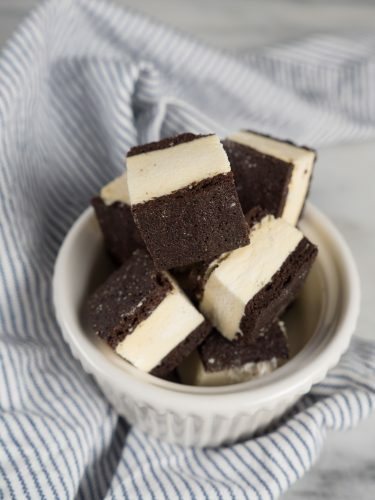 My personal favourite is there ice cream sandwich bites, they also recently reduced the sugar in them and they still taste so delicious! I love how light and airy it is! It taste just like an ice cream sandwich! Who doesn’t like to eat an ice cream sandwich that doesn’t melt and you can keep it in your purse? Since they use seasonal products, their menus is constantly changing to work with products that are in season! They also preserve local ingredients to incorporate year around so we can release specials, so make sure you are following their Facebook page so you won’t miss your favourites. Have you tried any of freeze dried products from 70 Below Treats? What is your favourite? Comment below, I would love to hear about them! You can currently buy 70 Below Treats from the TERRA Winter Market (Milton location only) until March 30, 2019. You can also DM their Facebook page and order with them for delivery! I love the spiced apples and cheese cake. I buy the Skiddles for my Grandchildren. They all go wild for them. Each time, I try something new. So good. Yes!! Their products are amazing! !